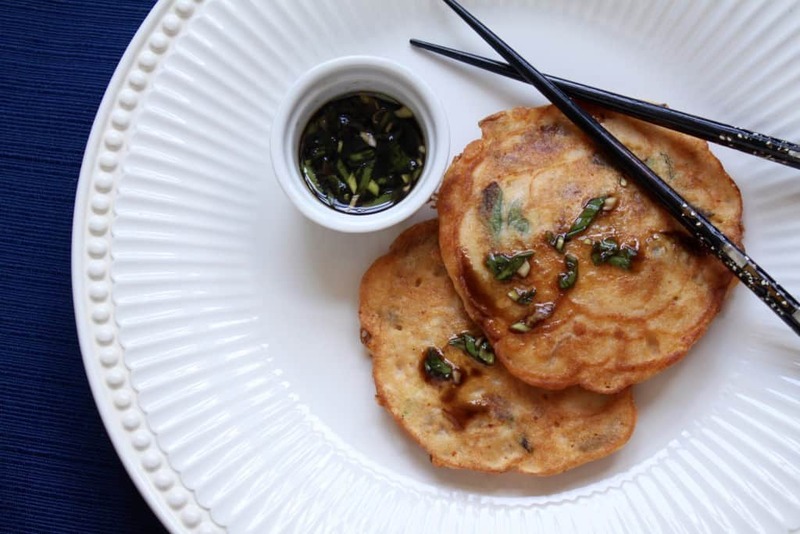 Korean Mung Bean Pancakes are not only full of nutritious ingredients and packed with protein, but can easily be made gluten free and are oh, so tasty! 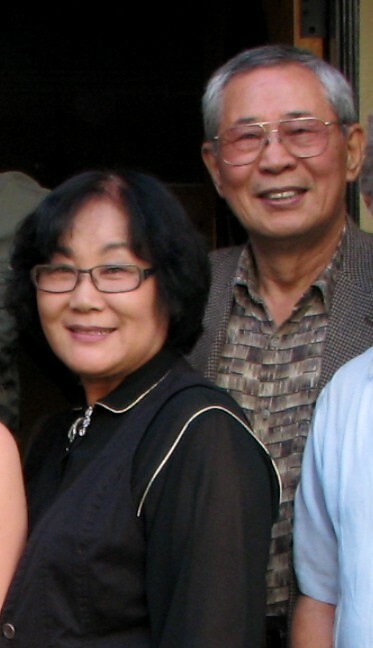 When I was 22 years old, I moved to California to attend graduate school, and initially moved in with family friends, Soon and Oke, who came to the US in 1976 which is when we immigrated too. Oke is one of the most amazing cooks I have ever met, and every time we go to her house for dinner, she makes at least one thing we’ve never had before! 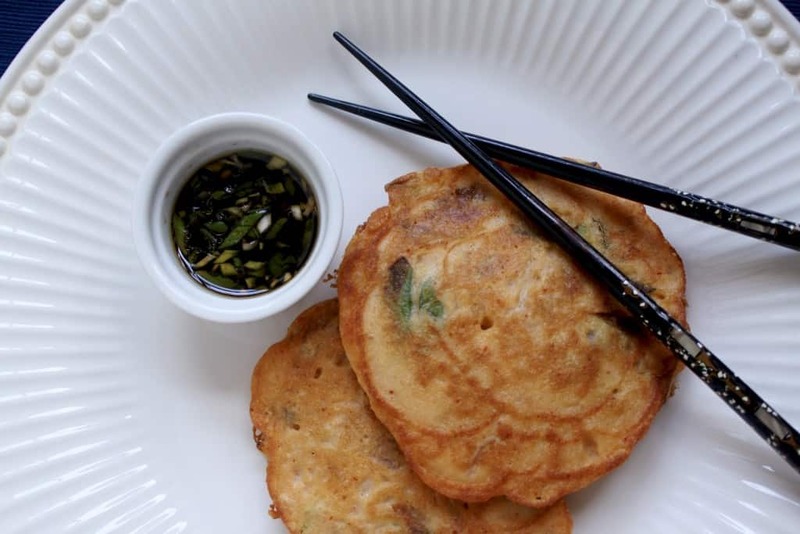 I can never reach her skill level in making Korean food, but she has taught me to make quite a few of her dishes, one of my favorite being Korean mung bean pancakes. I’d never seen or even heard of a mung bean before meeting Oke, but now I am never without a bag in my pantry. 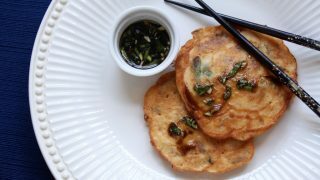 These pancakes are so incredibly healthy as they are a legume based pancake, have lots of green onions, bean sprouts and chopped kimchi (this is another post altogether!) You just won’t believe how delicious these pancakes are and that they can easily be made gluten free. 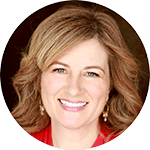 They are filling enough to have as a meal, alongside a salad, but they can be served with an entire Korean barbecue meal. 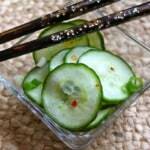 Additionally, you could also serve some Korean pickles with these. with about 2 ounces of water, the egg and flour. Blend until smooth. 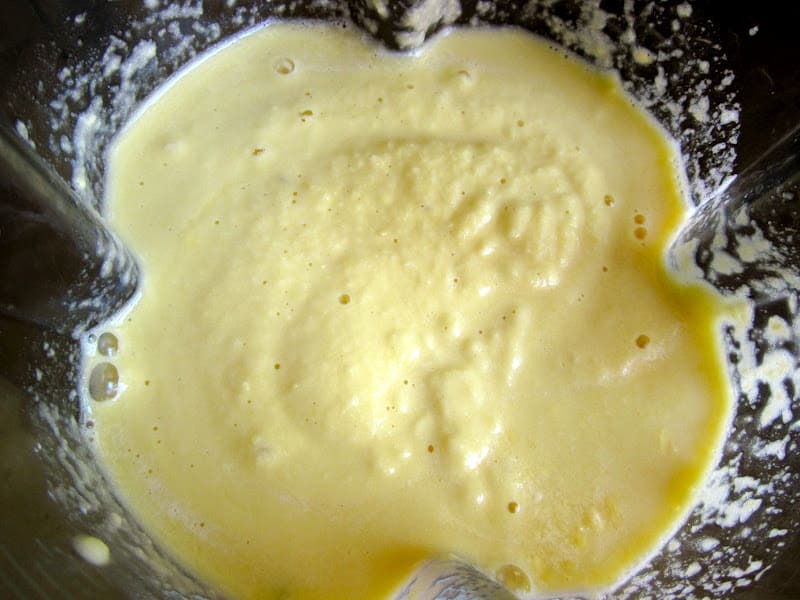 The consistency should be like a breakfast pancake batter, and look like this. 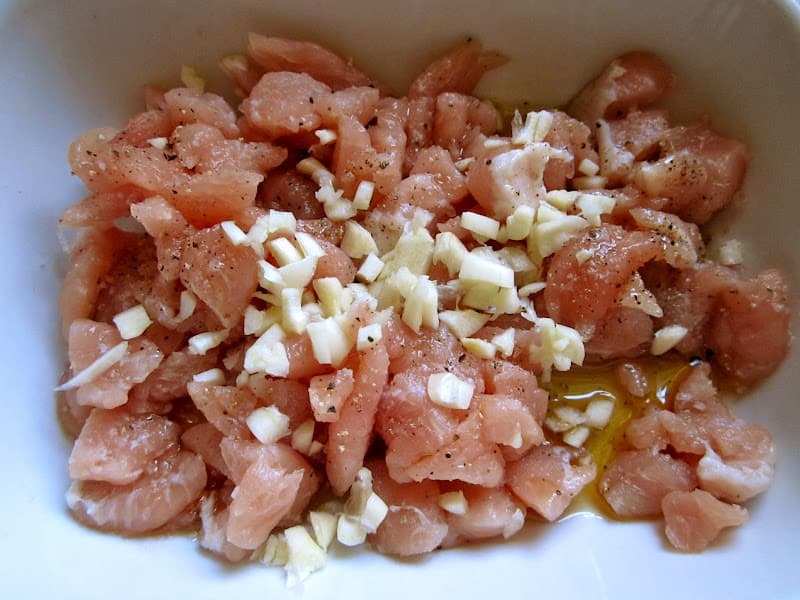 Place pork, sesame oil, garlic, pepper and salt in a bowl and mix well. 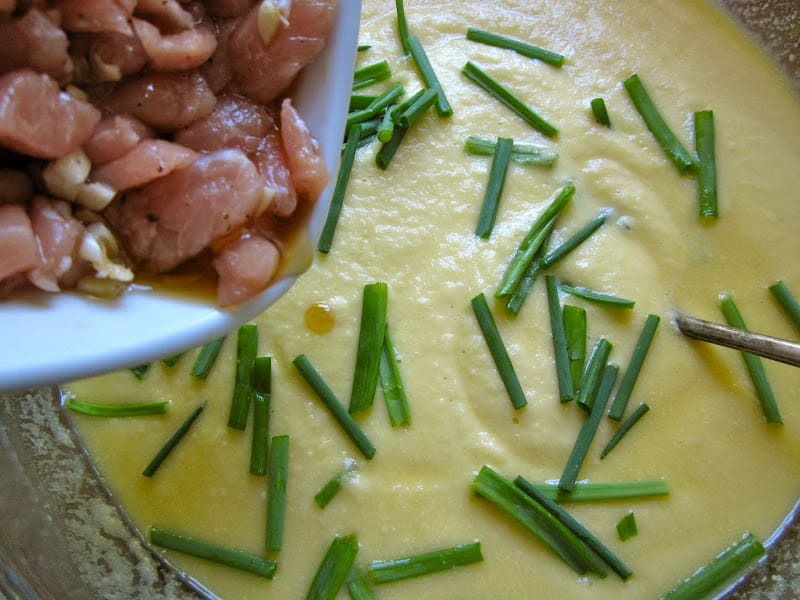 Next, put the green onion and pork mixture into the mung bean batter in a large bowl. I forgot to buy green onions, so I substituted chives, which I am growing. I just place the kimchi in a bowl and cut it with scissors. Now, add the kimchi and bean sprouts to the rest of the ingredients. Mix well. Wasn’t that simple? Next, heat a large non-stick frying pan over medium high heat with a little of the olive oil in it. When hot, place spoonfuls onto the pan, and cook until golden brown underneath. Remember there is raw pork in these (if using) so make sure to cook them really well; cook them longer at a lower temp, than faster at a higher temp. Turn over, and continue to cook until well done. While the pancakes are cooking, stir all the sauce ingredients together. 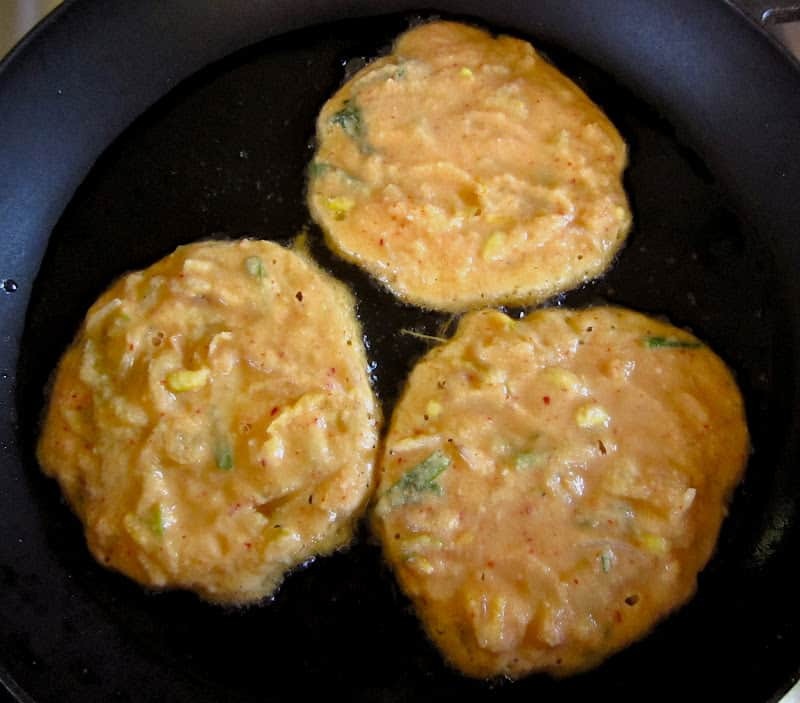 Serve Korean Mung Bean Pancakes hot, with the sauce and a side of kimchi, or rice, or salad, or soup. They are also good while at room temperature. 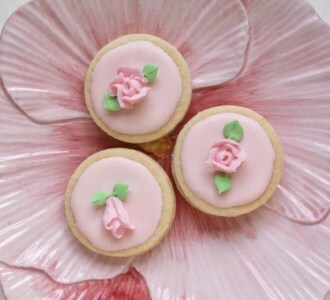 For example, if you want to bring them for a potluck or picnic. Note: you can make a “test” pancake and taste it to see if it needs more salt, but don’t make it too salty as the soy sauce adds a lot. 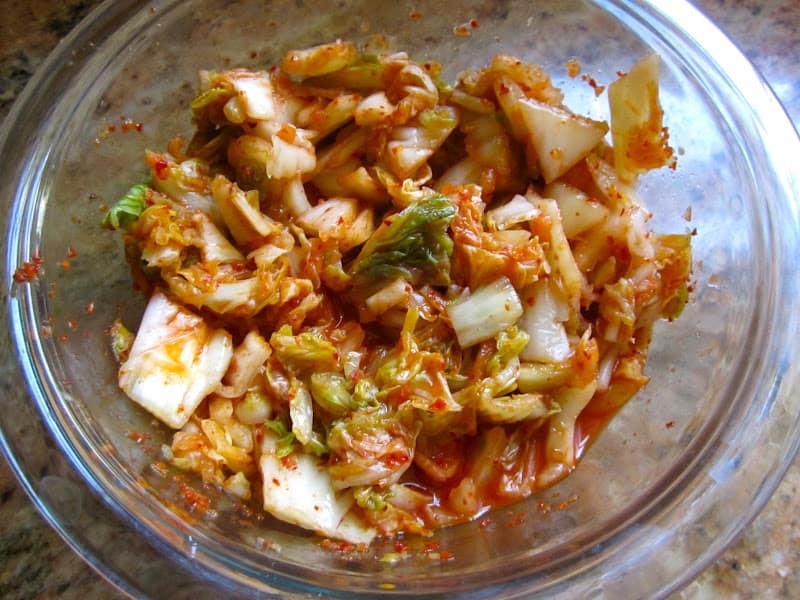 If you have not tried kimchi, or you are considering tasting it for the first time, read on. First of all, I have to admit that I never tasted kimchi from when I was first offered to me at 11 years old, until I was 22. 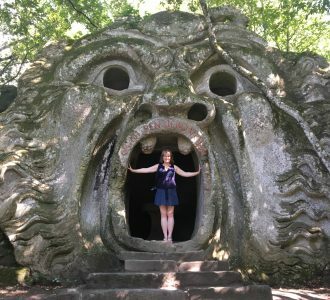 I couldn’t get past the smell, much like sauerkraut (which I still don’t like). I also thought it was so spicy, I’d never be able to handle it. Last of all, all I can say is please do yourself a favor and try it. It doesn’t taste anything like it smells and it is not as spicy as you imagine. 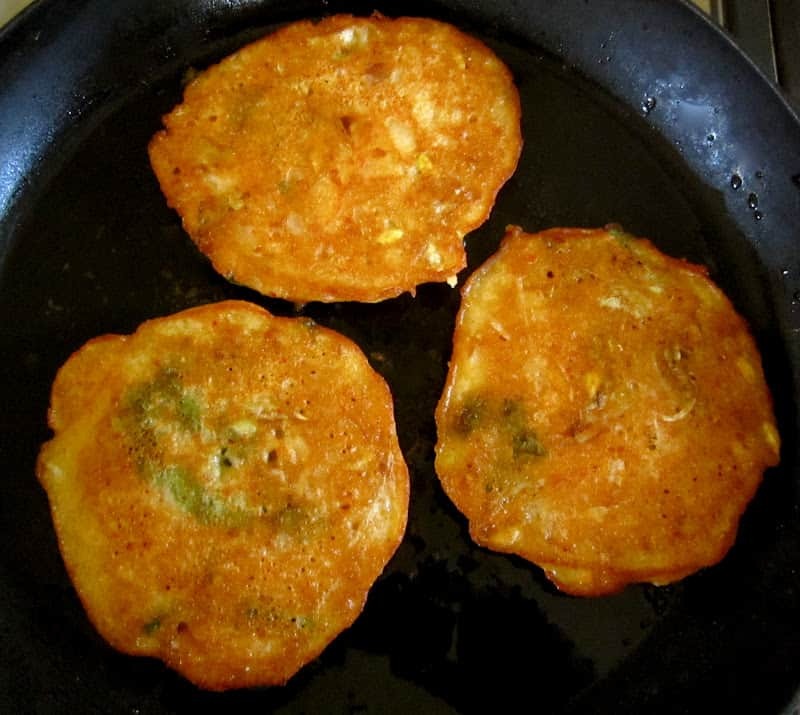 Korean Mung Bean Pancakes are the perfect recipe to try kimchi for the first time, because it’s relatively “hidden” in all the batter. 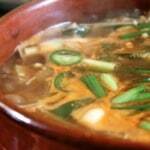 Besides how wonderful it tastes, kimchi is loaded with health benefits!! 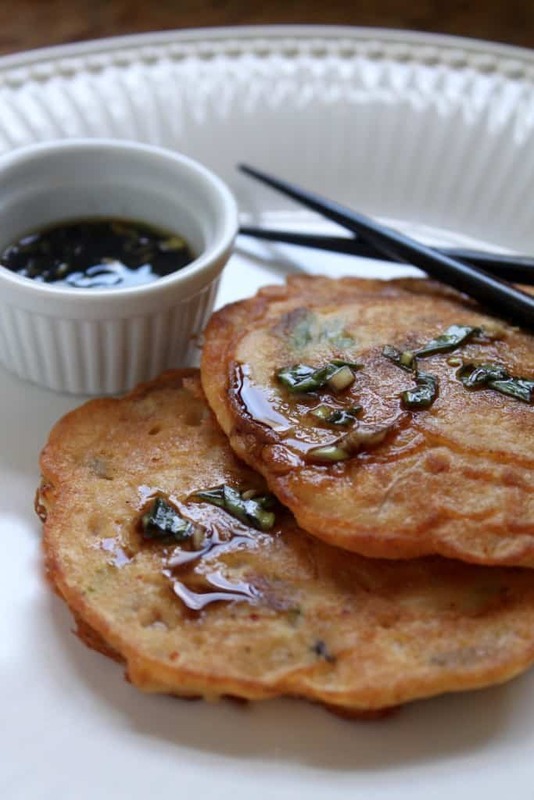 Protein rich mung bean Korean pancakes are a savory treat! 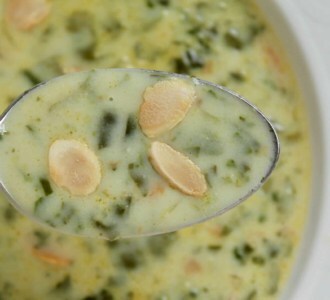 Soak mung beans a minimum of 6 hours, or overnight. 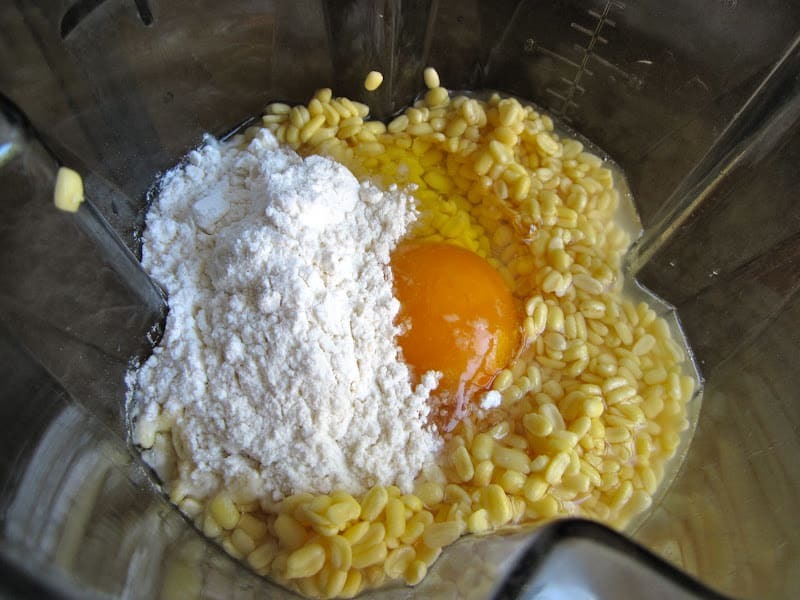 Rinse beans, and place in blender with about 2 ounces of water, the egg and flour. Blend until smooth. The consistency should be like a breakfast pancake batter. 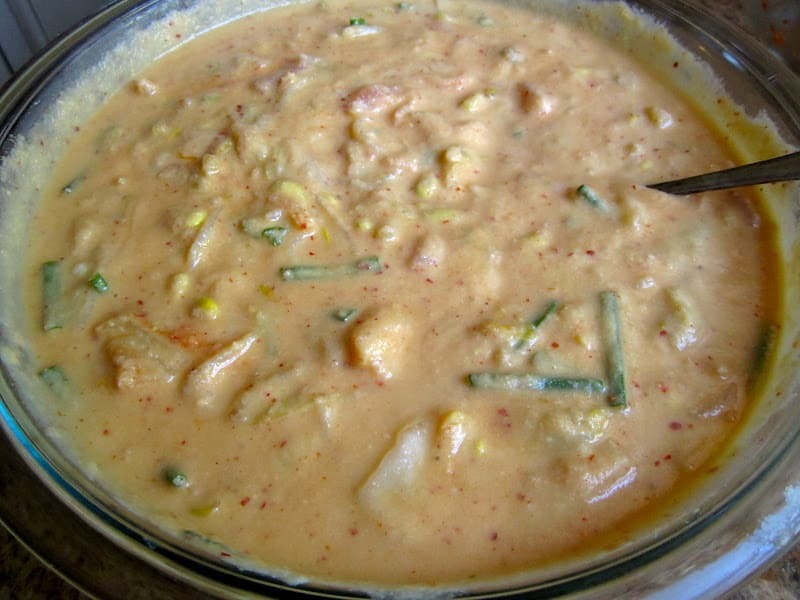 Next, put the green onion and pork mixture into the mung bean batter in a large bowl. Place the kimchi in a bowl and cut it with scissors. 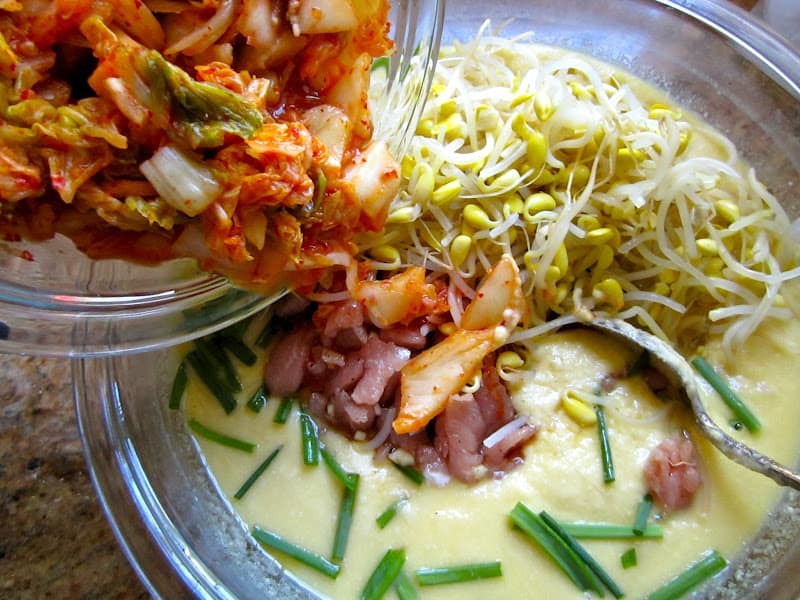 Now, add the kimchi and bean sprouts to the rest of the ingredients. Mix well. 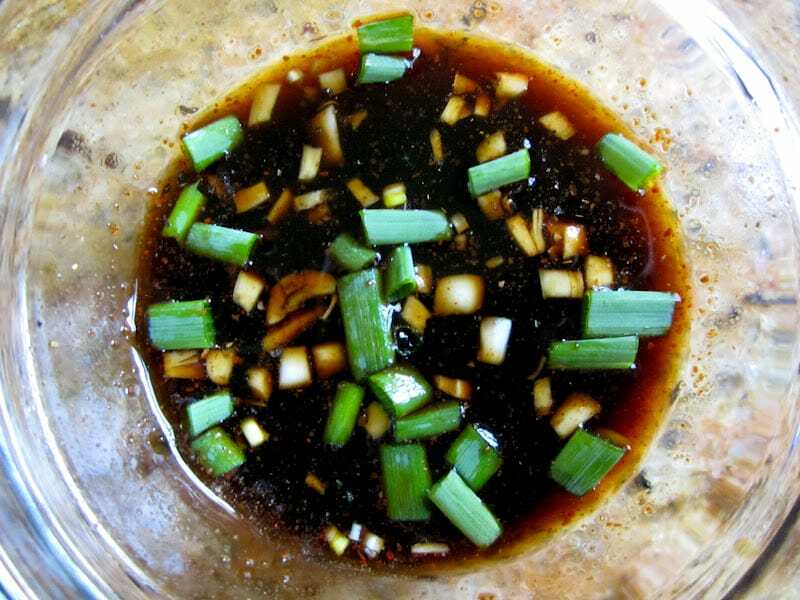 While the pancakes are cooking, stir all the sauce ingredients together. 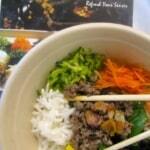 Serve hot, with the sauce and a side of kimchi, or rice, or salad, or soup, or--you get the idea. Make a "test" pancake and taste it to see if it needs more salt, but don't make it too salty as the soy sauce adds a lot. Oh my god. I had these pancakes in the market in Seoul and they were the best thing I think I’ve ever eaten. 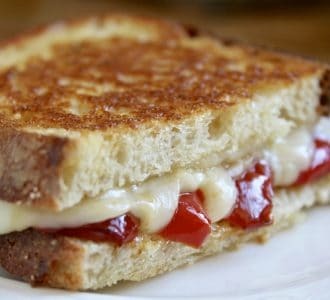 I’ve never found a decent looking recipe so can’t wait to try this! Oh, I’m so glad you found this recipe, Chloe! 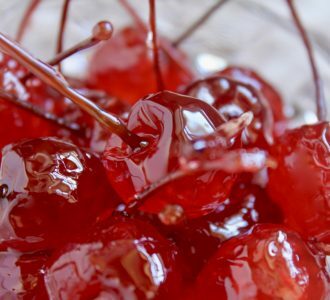 Yes, I agree, it’s hard to describe just how delicious these are! Let me know how they compare to the ones you tried?! I’ve never tried this dish but it looks so tasty! Love the back story, too! You should, Tara! SOOOO yummy! Good for him, it’s one of mine now, too! These look amazing!!! And not as intimidating as so many ethnic recipes tend to be…..I think I’m definitely going to have to give these a try! ? 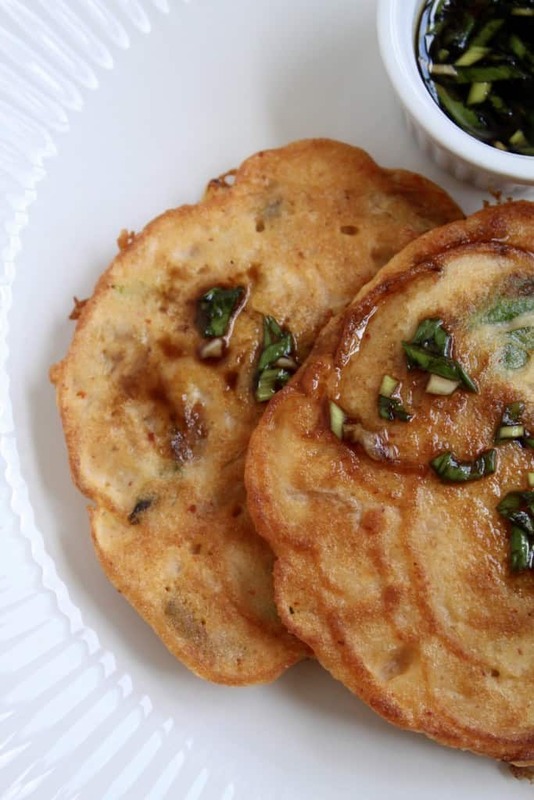 These pancakes look super healthy and easy to make too. I have never tried kimchi, think it’s about time I did. Absolutely! It’s one of my favorite foods!! 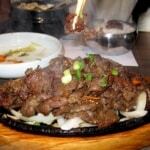 This is one of my favorite Korean dishes! So easy, healthy and delicious.